Thank you so much to Sally Young for introducing Hilary and me to Ofer Manor, Chief Architect of the City of Jerusalem. Ofer was generous enough to meet with us for an hour. As someone who had been a Loeb Fellow at Harvard for a year, he knows what it is like to have the incredible privilege and also the challenge of living abroad for a year. He shared his insights into how best to make a home in Jerusalem as an expat, and he also allowed us a peak into his work life. We were sitting at the Apple and Pear Café in Safra Square, and when I asked Ofer what is currently on his work agenda, he gestured to the light rail going by. “You are looking at it!” he said. He spoke about the difficulties of getting all the pieces in place – the traffic flow, the curbs and stones, the utilities. As a huge fan of public transport and of great urban design generally, I loved hearing his description of these decisions. To some extent I agree with Ofer – one does need to find opportunities and move forward where one can. I also have no real understanding of the scope and limits of Ofer’s authority. 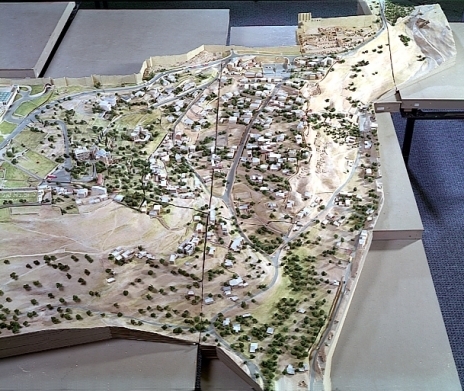 For example, the plan that has many houses demolished for the park for tourists in Silwan, but according to our presenter from Silwan does not have schools, hospitals or parking for Silwan’s residents – whose plan is that? It is “the municipality’s” – but who in this case is the municipality? Does Ofer have a voice in those decisions, and if so, what does he try to do? 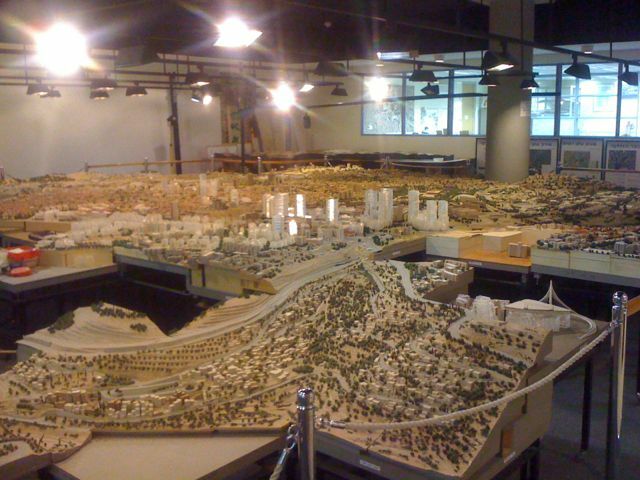 Ofer not only took the time to meet with us, but went a step further and invited us to see the model of Jerusalem his office has put together. It is a marvel. A large room, representing only 15% of Jerusalem and yet showing a complex cityscape in remarkable detail. We could see the Old City, of course, and much of West Jerusalem, all the way from the Jerusalem Chords Bridge. We could have seen our house, but alas a column currently takes up the spot San Simon would occupy! 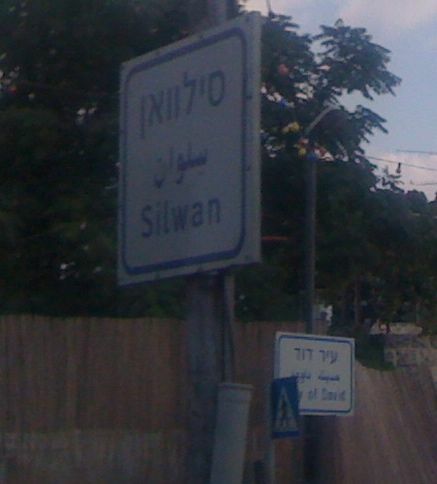 Neighborhood sign for Silwan, OK. Neighborhood sign for City of David, though? It's an archeological site, not a neighborhood, right? 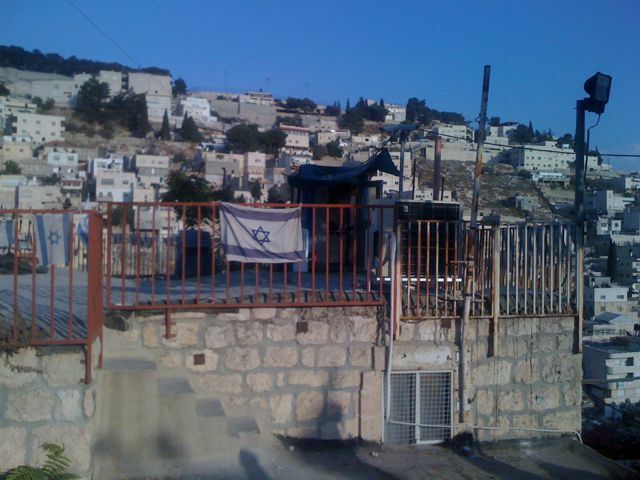 Settlers' house in Silwan, with constantly manned guardpost, paid for by the Israeli government. Unfortunately, none of these steps are currently being taken. 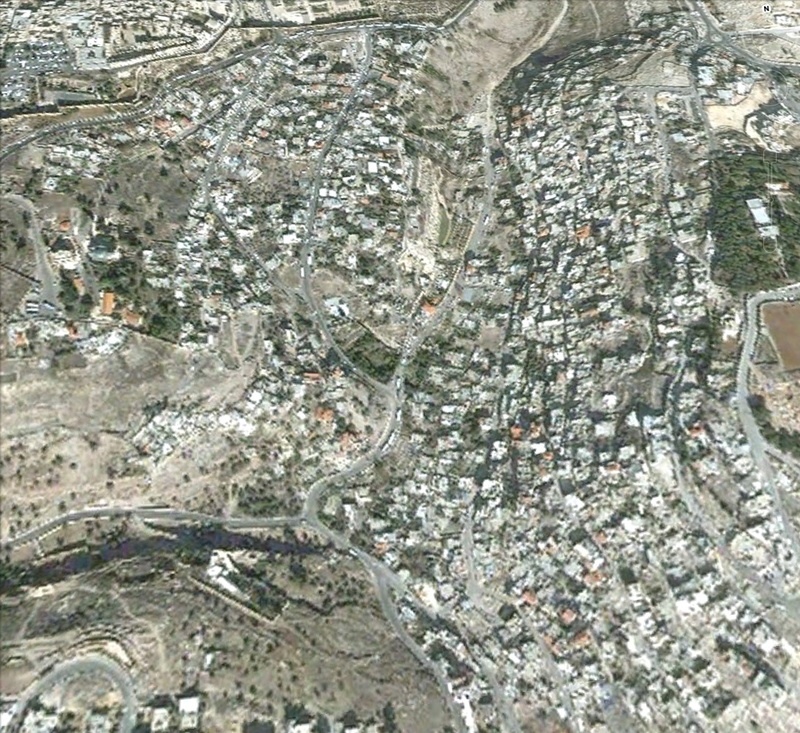 It is emotionally jarring to go from West Jerusalem to East Jerusalem. In West Jerusalem I love the peace of Shabbat, hearing the shofar in this month before Rosh Hashanah, and seeing people reading religious commentary on the bus. 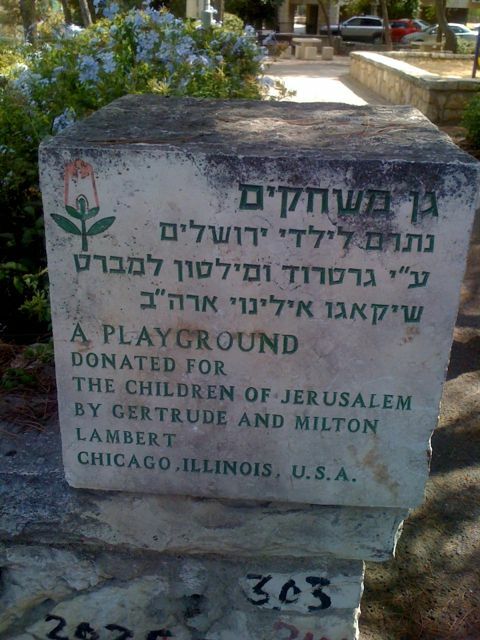 I love the many playgrounds (often given by Americans), the friendliness towards children, and the café culture.I appreciate the concern for the elderly, seeing a soldier pop out of her seat for someone with a cane – though I also appreciate that if you are just old, and not infirm, it is absolutely every person for him or herself. 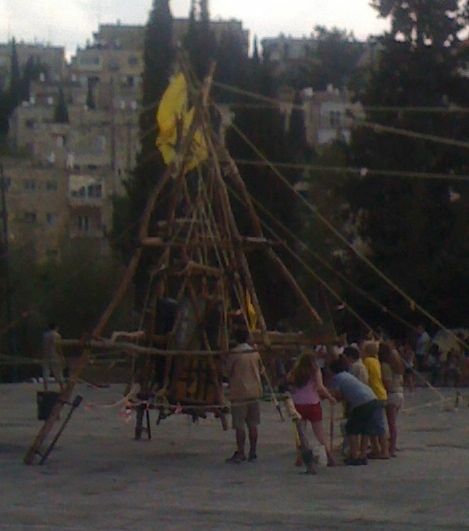 I loved seeing the enthusiasm of the Tzofim (scouts) as they built their climbing structures in the park – did you know that the Tzofim was the “first egalitarian Scouting movement in the world, where boys and girls participate together on an equal basis”? I love so much about Israeli culture and the Jewish identity – it is painful to watch what the government is doing and to try to reconcile these two faces of Israel.